S&W M&P 40 GBB Airsoft Pistol 15rd Magazine | ReplicaAirguns.ca | Easter Weekend Sale! 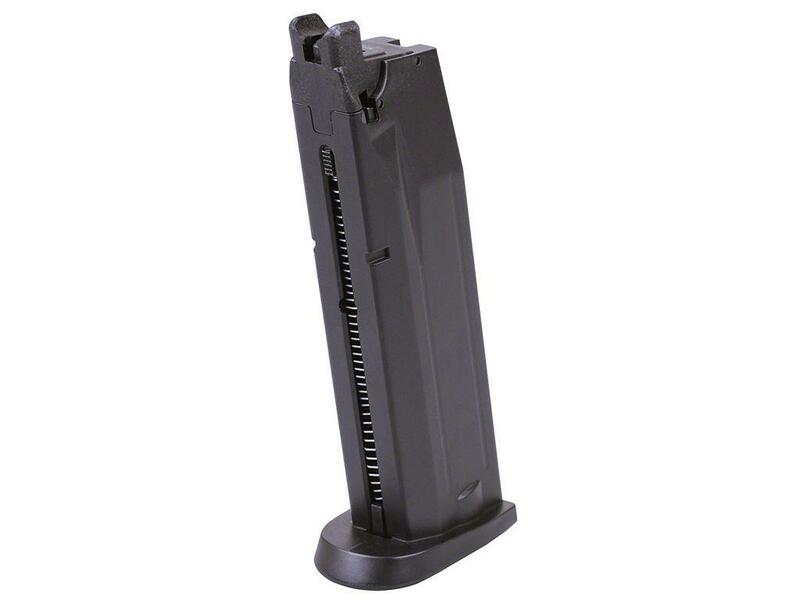 Comments: Bring more firepower to the airsoft field with the S&W M&P 40 airsoft pistol magazine. This CO2-powered mag holds 15 rounds of 6mm airsoft BBs. It is compatible with both the Cybergun S&W M&P9 and the KWC MP40.